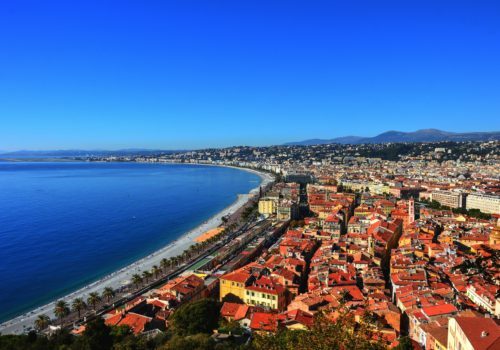 Experience the best of the French Riviera with this premium itinerary. Enjoy staying on the shores of the Mediterranean, in the heart of this beautiful coastal and mountain resort. Explore Monte Carlo, Cannes, Monaco and Nice with private tours, the option to take a helicopter trip and a visit to the world-famous Monte Carlo casino. Arrive into Nice to be met by private transfer which will take you to your hotel. Helicopter Roundtrip from Nice to Monaco and vice versa. Explore the illuminated Riviera from the sky. Enjoy a fascinating helicopter roundtrip from Nice airport to Monaco and back. This evening it’s time to dine out in Monte Carlo. You’ll enjoy a private dinner transfer from Nice to Monte Carlo. Drive along the seacoast road with its medieval villages, marinas and panoramic viewpoints. Travel by the famous cornice road leading to Monaco. Stop by to the Casino de Monte Carlo and take your free time for dinner and enjoy the chic atmosphere of the Casino Square. After breakfast you’ll take a full day Private Panorama Riviera Tour. Travel by the coast road and enjoy the sea views of the famous cornice road leading to Eze. Discover the world of senses and flowers with a shopping trip and visit to a perfumery. Stop on the famous Rock for a visit of the Old Town, the Prince’s Palace and the Cathedral, where Grace and Rainier were married. Drive through the Formula 1 Grand Prix circuit to Monte-Carlo, and enjoy a world of elegance and luxury. Then move to the west and arrive in Cannes. Admire la Croisette with its luxurious boutiques. Lay back and enjoy a panoramic drive with breathtaking views of the different bays of Juan-Les-Pins on the Côte d’Azur and Antibes. Pass by exclusive Cap d’Antibes, home of the famous billionaire’s quay where helicopters and yachts are in abundance. After breakfast we’ll pick you up and take you to the airport for your onward journey.